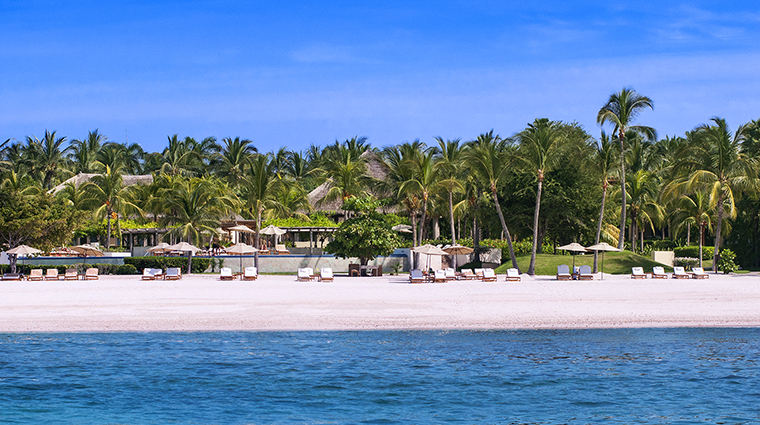 Checking into The St. Regis Punta Mita Resort doesn’t really feel like a traditional check-in process at your everyday hotel. 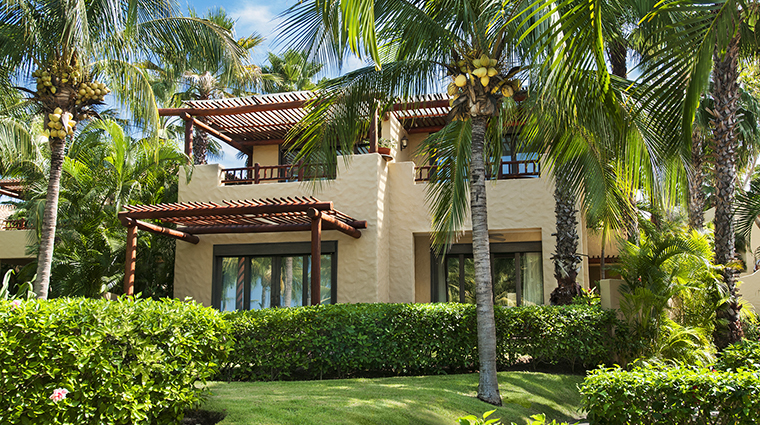 First of all, when you arrive at the beachfront property, you’ll be offered a margarita before being ushered (you’ll probably walk about 10 steps) by the friendly hotel staff to the outdoor patio area of Altamira lobby. 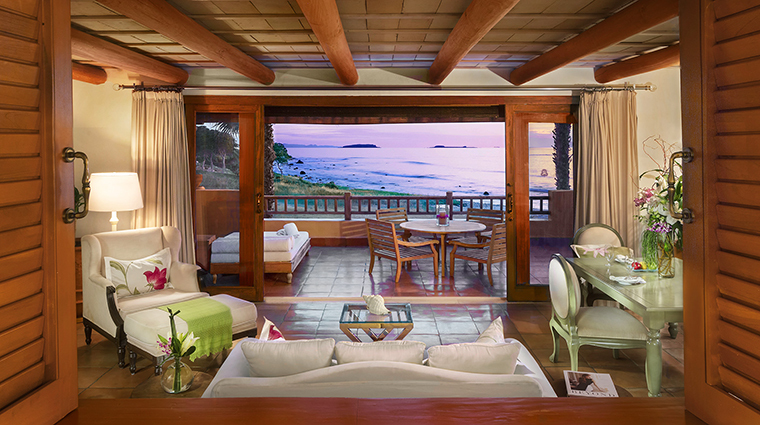 It is there that you’ll check in while overlooking pristine views of the Pacific Ocean. 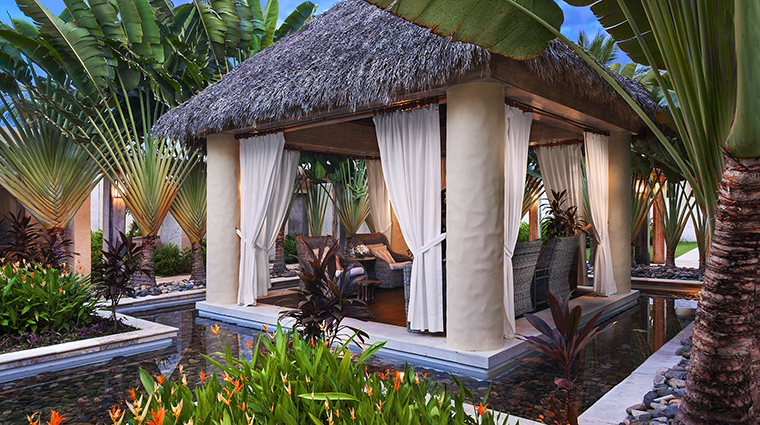 The 120-room resort sits on 22 acres of lush greenery. 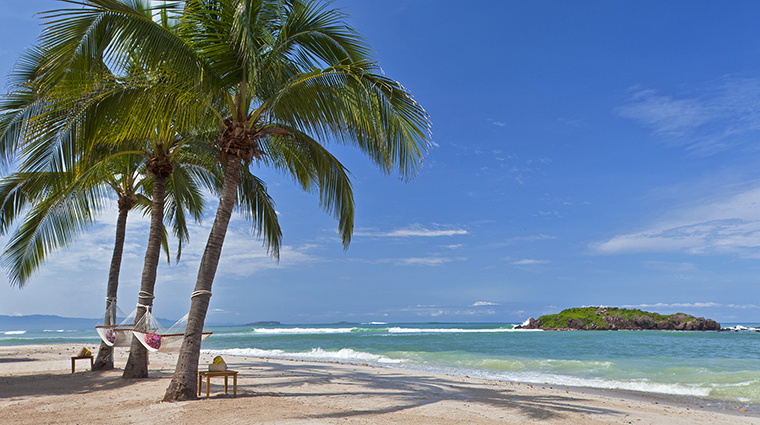 Although many people visit The St. Regis Punta Mita for its two Jack Nicklaus Signature golf courses — Pacifico (19 holes) and Bahia (18 holes), others come for beach activities (stand-up paddleboarding and kayak lessons) and luxe accommodations. 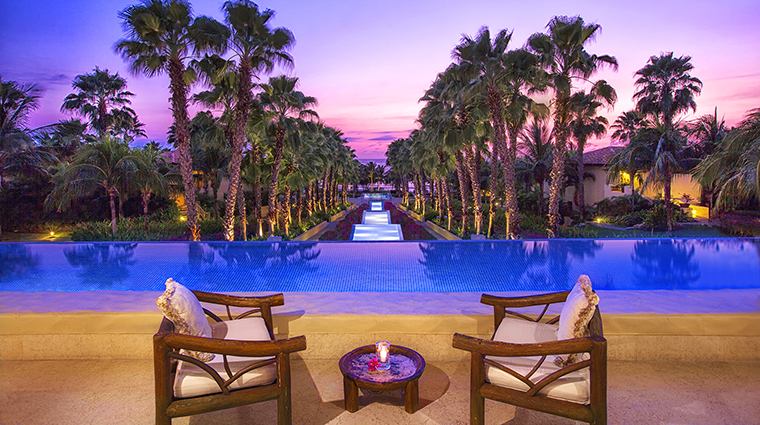 There's lots to do here: Start your day off with a little downward-facing dog at the resort’s Areca pool, the resort has three infinity pools — this one is for adults only. Sign up for the three-hour Marine Safari where you’ll meet your tour guide on the beach before jetting off via boat to the Marieta Islands to do some snorkeling and spot the blue-footed booby birds, which can only be seen in western Mexico and on the Galapagos Islands. 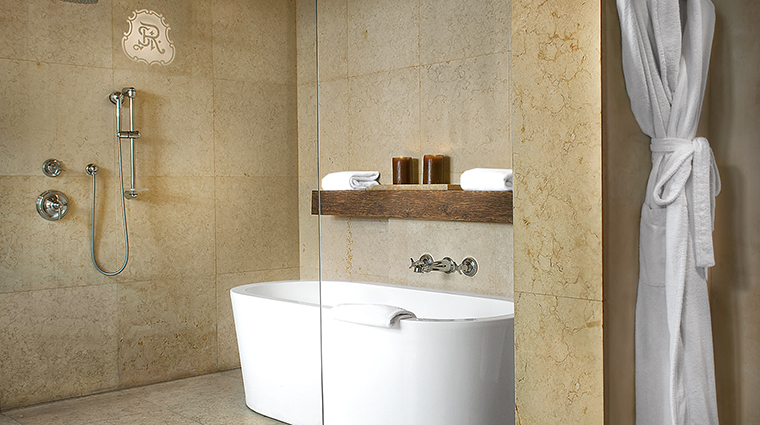 Let your St. Regis butler prepare your tub water before you settle into the hotel brand’s specially formulated cozy bed mattress. 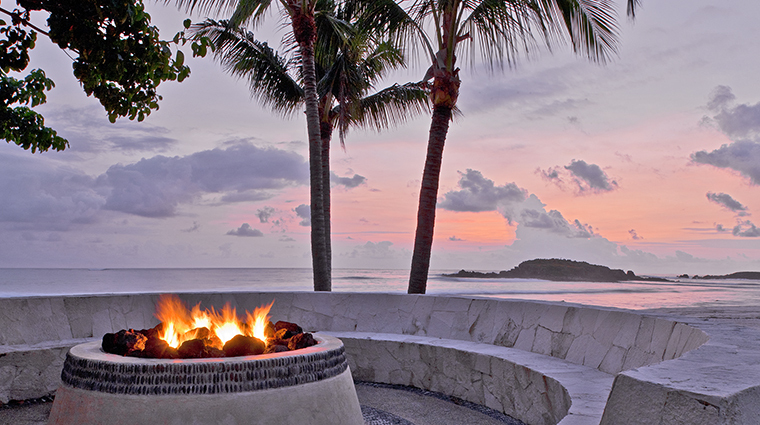 The alfresco Las Marietas restaurant and bar boasts Pacific Ocean vistas in addition to the resort’s monthly drink. You can also order up margaritas, daiquiris and the Mita Mary (the resort's personal spin on the Bloody Mary). 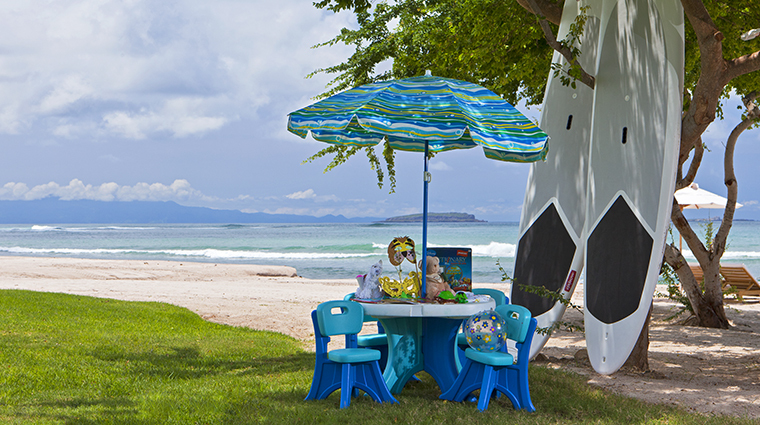 La Tortuga Children's Club is a great place to drop the kids during the day for a host of fun activities including treasure hunts, painting, making pinatas and visiting the children's spa. Head to Altamira lobby for the evening’s champagne ritual. Observe a bottle of bubbly being sliced open with a saber sword while the sunset serves as your backdrop. 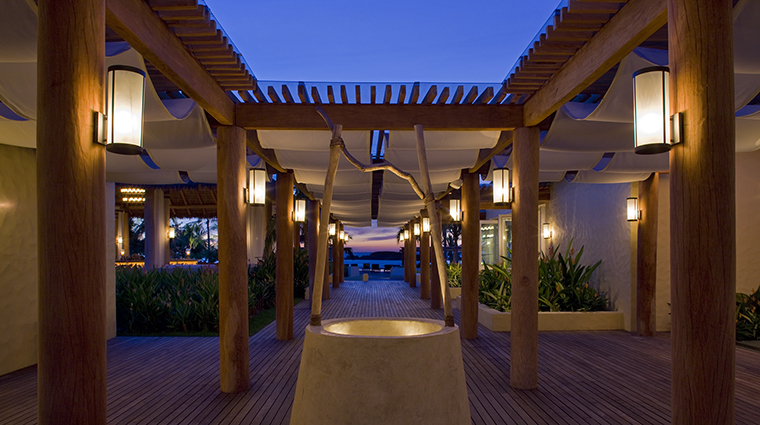 The spa is a 10,000-square-foot space exuding serenity — go for the indulgent Remède therapies and stay for relaxing and rejuvenating water circuit. 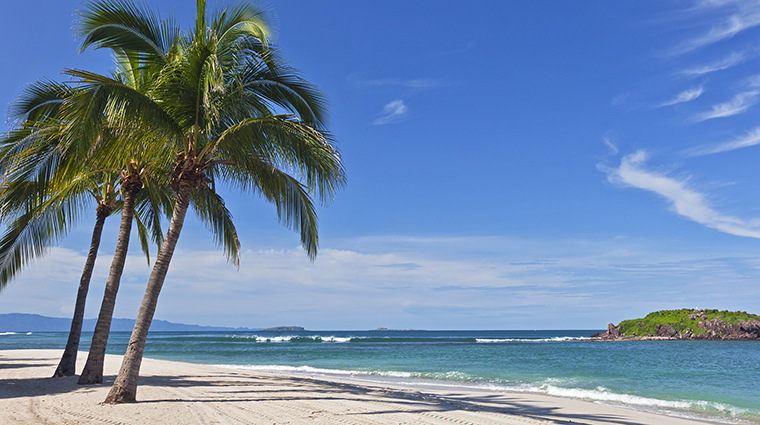 Puerto Vallarta, the largest nearby city, is about 50 minutes from Punta Mita. Closer by, local seaside fishing villages offer places to scoop up local craftworks. 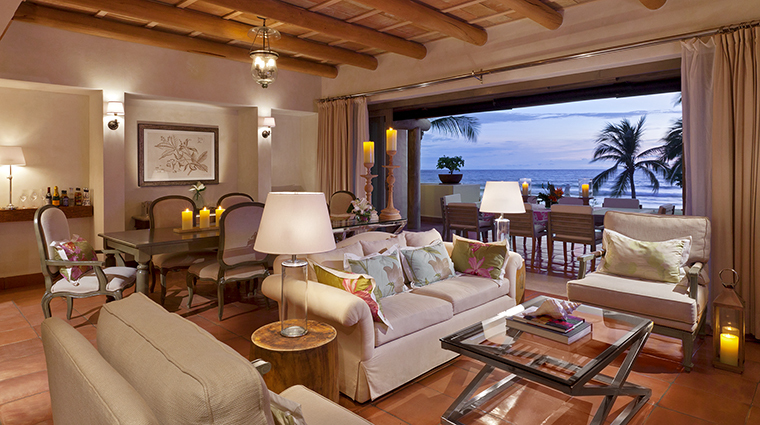 The best time to visit The St. Regis Punta Mita Resort is in August and September (the hottest months of the year). 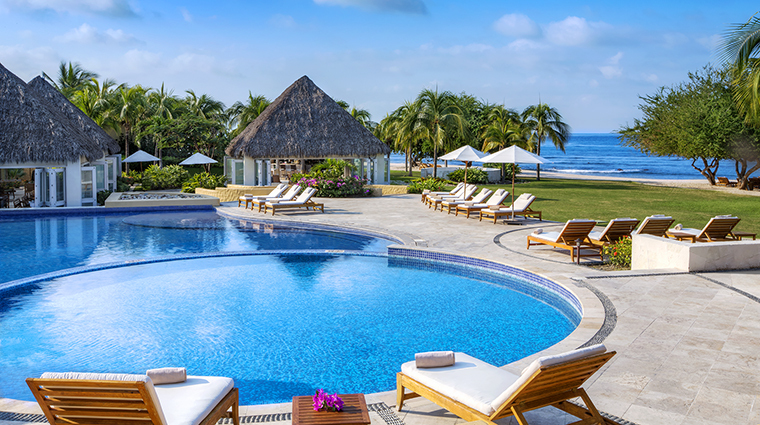 If you’d prefer climes with less humidity and would like to vacation when there’s not so much foot traffic, a visit to the resort starting in mid-October will do the trick. 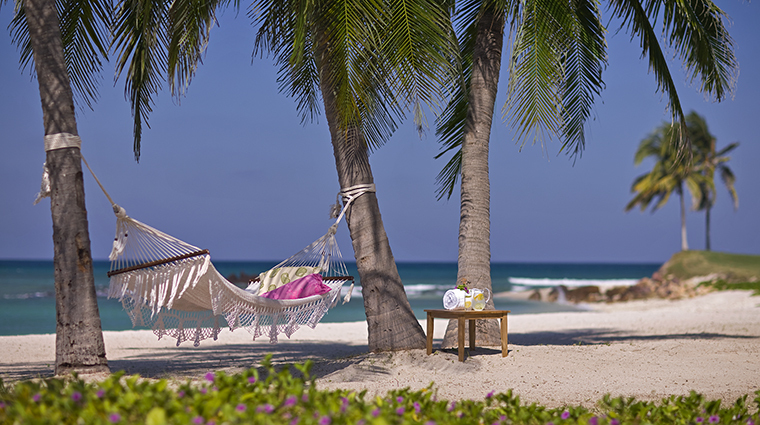 But if you plan on taking advantage of all of the luxury hotel’s outdoor activities, such as fishing and volleyball, make sure you book a getaway outside of the region’s rainy season, which runs from June through October. 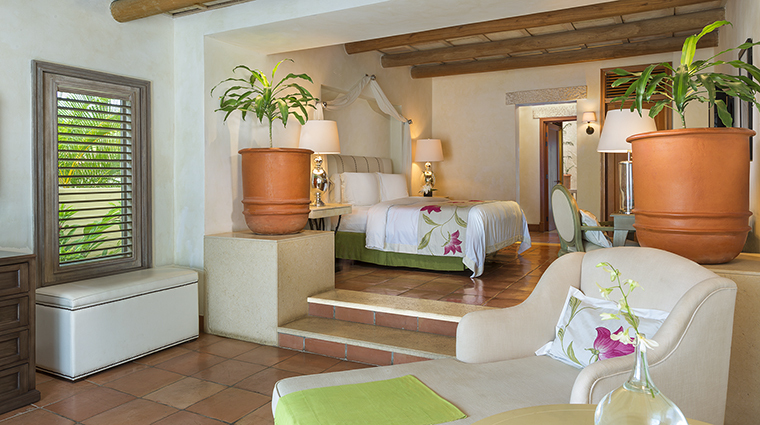 All rooms have private terraces, outdoor garden showers, marble bathroom flooring and Remède bathroom amenities. 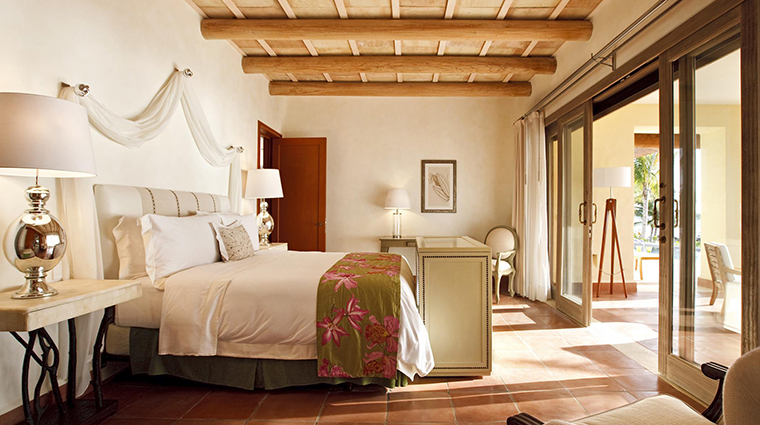 Expect wonderful locally inspired design such as Mexican art pieces, clay floors and ceilings and handcrafted tiles from nearby artisans. 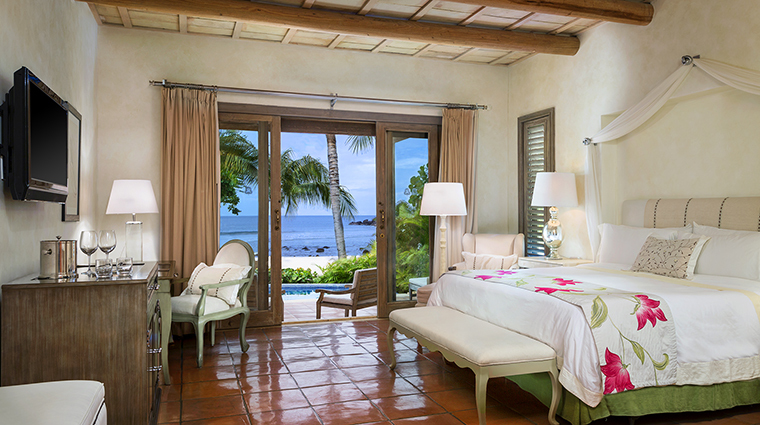 The Three Bedroom Beachfront Presidential Villa has large floor-to-ceiling windows that open up to the ocean, plus a private pool, Jacuzzi on the terrace and fully equipped kitchen. 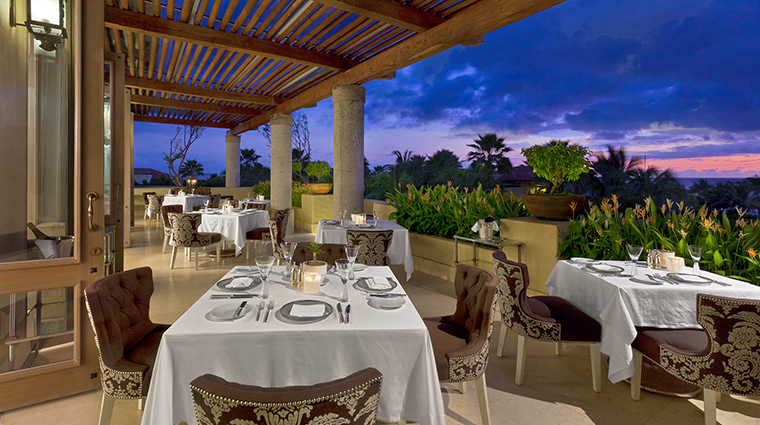 Eat at one of the luxury hotel’s three main restaurants: Carolina, Las Marietas and Sea Breeze. Meals at Las Marietas and Sea Breeze come with a healthy amenity of tortilla chips and three dipping sauces (green tomato, red tomato and habanero chili) so be sure to save some room for the main meal. Fill up on ceviche, the traditional tortilla soup or flour quesadillas with mushroom or huitlacoche (a type of corn fungus). 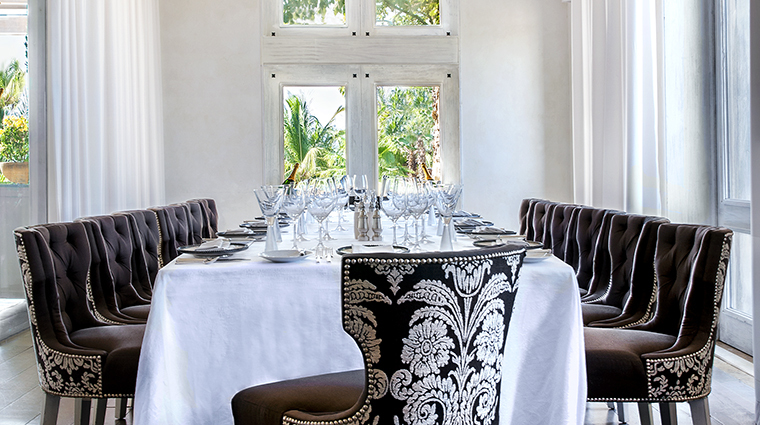 Carolina is named after the mother of St. Regis founder John Jacob Astor IV and is the hotel's Mediterranean restaurant. It serves up seafood infused with the area’s native flavors.